Shorter sessions (2-3 hours) are also offered. Explore the dimensions of violence in life around us and our habitual responses. Experience the meaning and dynamics of active nonviolence as a mindful response to violence, injustice, or conflict. Dive deeper to taste the spirituality of nonviolence and its support for the new world we desire so ardently. JOSIE SETZLER found herself drawn into peace activism and nonviolence training by the wars that grew out of 9/11. She formed two area peace groups that she continues to lead. She has also served local mental health and environmental efforts. Josie participates with Witness Against Torture in national actions to close Guantanamo and end torture. 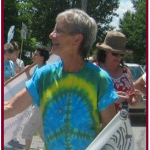 She is trained in nonviolence and conflict resolution through Creating a Culture of Peace and the Lombard Mennonite Peace Center. She writes for Toledo Faith and Values, ToledoFAVS.com. Josie is a former chemistry professor and environmental scientist. She and her husband Denny have four grown children and are active in their local parish. SR. PAULETTE SCHROEDER is a Sister of St. Francis/Tiffin and was raised in a rural family of 13 children—a lot of opportunities for learning nonviolence! 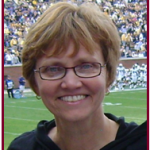 She taught in a number of elementary and high schools for 20+ years, changed to inner city ministry, and served in retreat ministry on the St. Francis campus. After 11 years, she became a member of the Christian Peacemaker Team in Hebron, Palestine where she lived in a war zone, saw oppression firsthand, and tried to practice nonviolence on all its levels. After 3 years there she is now continuing to work for Palestinian Liberation while living in Tiffin, and is also working on education of children and adults in nonviolence skills through Project Peace. She also writes for Toledo Faith and Values, ToledoFAVS.com.